Great customer service. Negotiated with me no problem and got me approved for what i needed in a hurry. Great company and staff are awesome.. 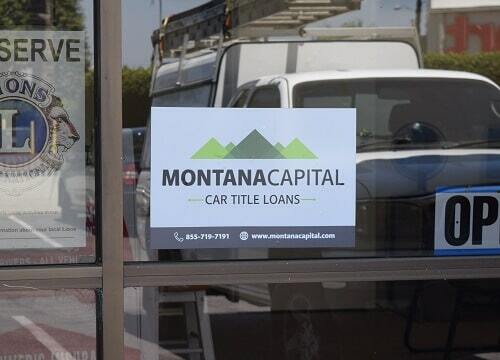 The Pegasus Drive Montana Capital Car Title Loans in Riverside, Branch has been providing the residents of Riverside with car title loans since June 7th 2017. 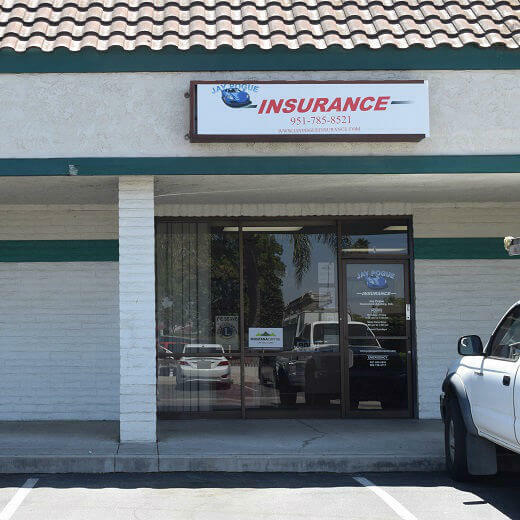 We rent a space inside the store of Jay Pogue Insurance Agency, INC. The store is located at 6200 Pegasus Drive, Suite #1 right off Arlington Avenue. If you live in Riverside and in need of quick cash, call us to schedule appointment at the Pegasus Drive Montana Capital Car Title Loans in Riverside branch. We provide all our customers with supreme customer service. Car title loans are secured loans on personally owned vehicles using the unexpired equity to provide sufficient collateral. Anyone can apply for a loan regardless of their credit history because when applying for car title loans in Riverside we don’t determined your eligibility only on your credit history. If you qualify for a loan you can get any amount from $2600 and up depending on your ability to repay the loan, the value of your car and several other parameters. The first step towards the money you need is simply to fill in the online form above. 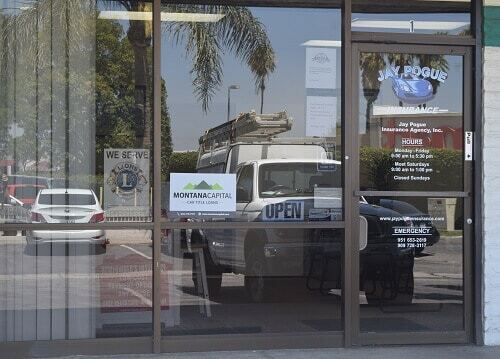 The team at Montana Capital Car Title Loans in Riverside will contact you as soon as possible to continue the process of applying for the loan you need. Living in Riverside, California can be a great life unless you run into financial difficulties. Honestly? Everyone gets stuck and needs a little cash from time to time. It seems like no matter how well you are doing with your job and how careful you are with your spending, you can still run into unexpected expenses that seem hard to cover. Everyone has been in that boat before and knows that feeling of needing to get a personal loan. With car title loans in Riverside, we would like to help you get past this financial difficulty. Contact us today and let’s see how we can work together. Call and apply for one of our pink slip loans. Anyone who has access to a computer can send in an online application for car title loans in Riverside. There are a few basic questions you’ll need to answer so we know who you are. Then we’ll want to know all about the car you own and your ability to pay the loan payments. If you have built up collateral in your car and you will prove us you can manage our loan payments, we will let you know if we can help you with a secured online loan in Riverside. Riverside CA is situated inside of the greater metropolitan Inland Empire area. Because of its location near the Santa Ana River, it was named Riverside. Even though it is about 60 miles away from Los Angeles, it is also considered to be a part of the Greater Los Angeles region. As a city, Riverside’s founding was in the early years of the 1870s. It is known to be the birthplace of California’s citrus production and it is the home of Mission Inn, which is the biggest of all Mission Revival style buildings within the US. It has the Parent Washington Navel Orange Tree, which are the only two remaining navel orange trees in California.